Yesterday was such a fun day! We woke Bella up by singing Happy Birthday to her, which she just loved. (Yeah right!) She was cranky from being woken up, but when she realized it was her birthday she cheered up right away! When I took her to school, she was expecting me to stay, and got upset when I had to leave. Broke my heart! I got back there just before they all woke up from nap, and brought cupcakes & goodie bags. I brought enough for both classrooms since they are together, and everyone was excited. They sang happy birthday to her, and everyone ate quickly! 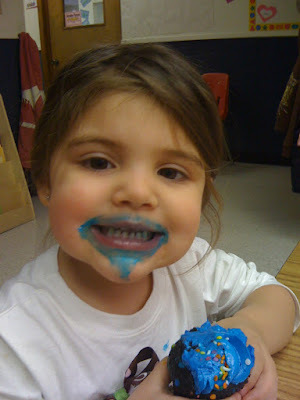 Bella of course picked the cupcake with the blue icing, and her face was covered in it! I took pictures because she looked so adorable! (Which I will post tonight!) Afterwards, she was ready to leave, so we decided to go visit Daddy at his work. We got to meet everyone he works with now, and she was happy to see Daddy! Bella then quickly got bored, so we headed home. Once home, we played ball in the backyard, watched her favorite shows on tv, and then I bbq’d steak out back while she kept playing. Daddy came home and we all had dinner together. Grandma & Aunt Sandra both called to wish her a happy birthday, and then she went to take a bath. Since Eric hadn’t seen her much & we spent all afternoon together, she naturally wanted to spend all her time with Daddy, so I relaxed a little while they played. 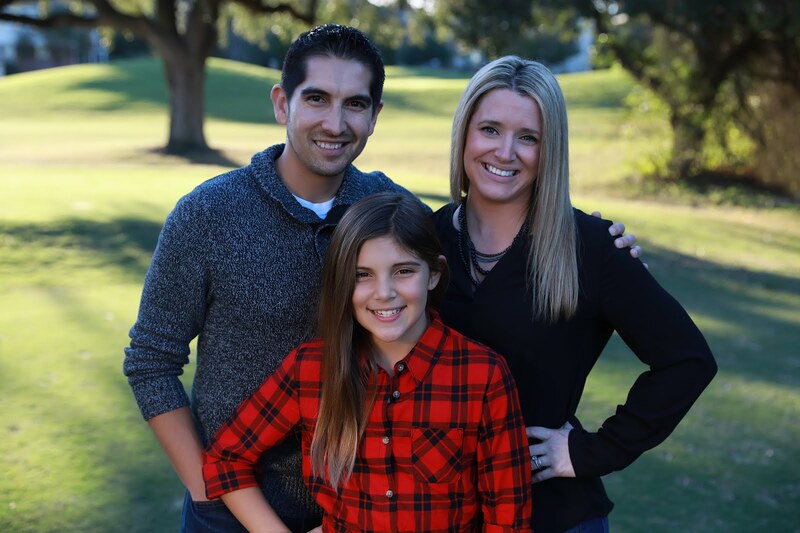 All in all, a great birthday for her! This weekend is her final birthday party. (Thank goodness!) It is going to be at our house and will be just close family & friends here in Austin area. Nothing too big, but still lots of fun and she gets to see everyone again, have even more cake, and open even more presents! Update: Here are the pictures from her mini party at her daycare. I didn't take too many, and my camera isn't working really well for some reason, but here you go! My birthday girl before going to school! She had just woken up from her nap when I got there. Ms. Veronica passing out the cupcakes! Ready for her birthday cupcake... Mommy ended up putting her hair up before hand!